Hako is a lightweight search engine backed by Lucene index. 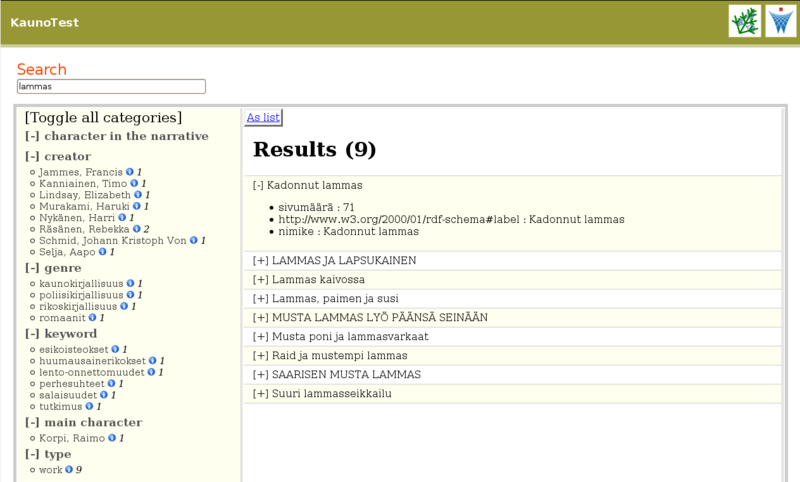 Hako includes multifaceted search interface, Google Maps view and generic RDF browsing abilities. HAKO development has been integrated SAHA, our metadata editor. These systems now constitute a whole, where metadata can be created and published instantly as a facted search system with a SPARQL end-point. See SAHA for further information, papers, and demos.